Today, we regularly hear about tensions on the Temple Mount, where either the Waqf or other Muslims accuse Jews of violating the "permission" granted to Jews by the Arabs to go to the Mount by praying there. Historically, though, Jews have prayed on the Temple Mount after the destruction of the Second Temple -- including when the area was under Muslim control. Peters goes on to write that this would have been during the earliest days of the Muslim occupation, probably before the construction of the Dome of the Rock by Abd al-Malik and the consecration of the Temple Mount as the "Noble Sanctuary." According to Peters, the construction of the Dome would have changed the nature of the area. Thus, a political strategy designed to fight mutineers in far-off Mecca transformed Jerusalem's Temple Mount into a Muslim holy site with far-reaching implications to this day. As Sebag Montefiore writes in explaining the 40 year silence of the Muslim world when the Arabs lost Jerusalem during the Crusades, "as so often in Jerusalem's history, religious fervour was inspired by political necessity." After the Fatimids conquered Jerusalem in 969, a Temple Mount synagogue was rebuilt and used -- until the Jews were then banished by Caliph al-Hakim in 1015. That decree was rescinded by a later ruler and Jews were again allowed to worship there until the conquest of Jerusalem by the Crusaders. 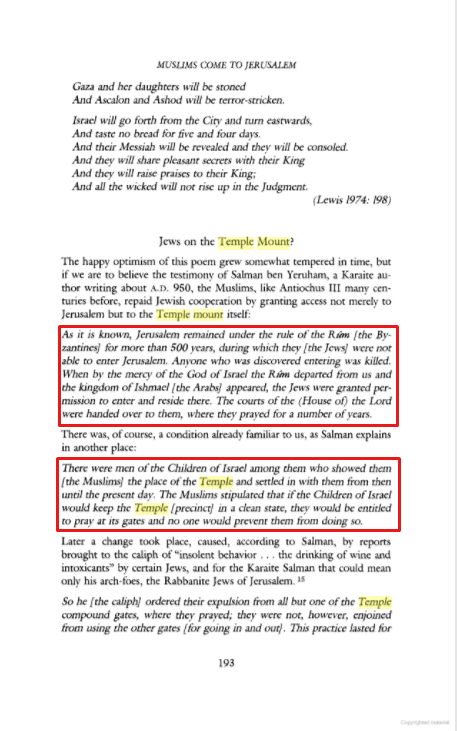 But even then, Jews were able to go up to the Temple Mount. 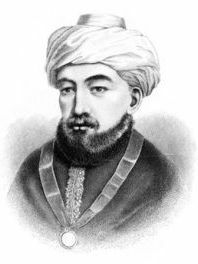 The Rambam wrote in a letter in 1165 that he "entered the Great and Holy House [and] prayed there." The Jewish traveler, Benjamin of Tudela, visited Jerusalem between 1159 and 1172, and writes there were Jews praying "in front of the Western Wall [of the Dome of the Rock], one of the [remaining] walls of what was once the Holy of Holies." Loewenberg notes that the Western Wall described by Benjamin of Tudela could not be the current Western Wall because it did not become a site for prayer until the sixteenth century, but instead the reference is to the ruins of the western wall of the Second Temple building on the Temple Mount. The chief rabbi of Jerusalem, David ben Shlomo Ibn Zimra (Radbaz, 1479-1573) wrote that the city's Jews regularly went to the Temple Mount in order to view the entire temple ruins and pray there and that "we have not heard or seen anyone object to this."